A few weeks ago marked a year since we sold our first home and bought our first house. It’s been a funny old year since that day. We woke up on moving day, aching from our last night spent in our first home on the cushions from our sofa. Surrounded by all those items you’ve left until the last minute that you think won’t take long to pack and are sure will fit in the moving van. Everything went really smoothly until we ran over our completion time and were technically “squatters” in what was very much still home as we scrambled around trying to officially leave it for the last time. I remember crying my eyes out on the way to collect the keys from the estate agents with our family car jam-packed around me. What had we done? Have we done the right thing? I suppose everyone gets those last minute jitters wondering if this hugely expensive commitment that you’d just signed your life over to is the right thing to do. But it was oh so much more for me. “Just picture it’s potential, what we could make it into- just like the flat, but on a bigger scale,” he said. So much to my surprise, I took the reigns on this crazy idea and within a week we had sold our flat and had our offer accepted on the house, even though I still wasn’t 100% sure that we were doing the right thing. 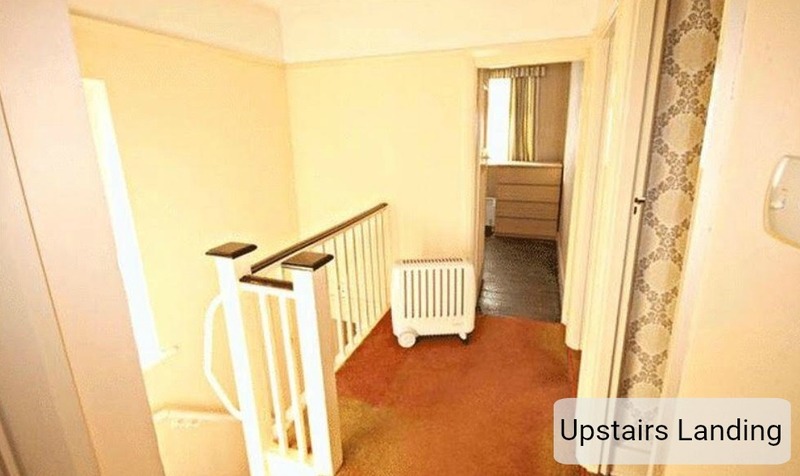 As much as I loved our flat, I was really struggling with Elsie to leave it and return to it because there was no lift and no parking space as we were so close to a train station. Every time I wanted to even pop out for milk, it became such an expedition that I started to feel a bit trapped. 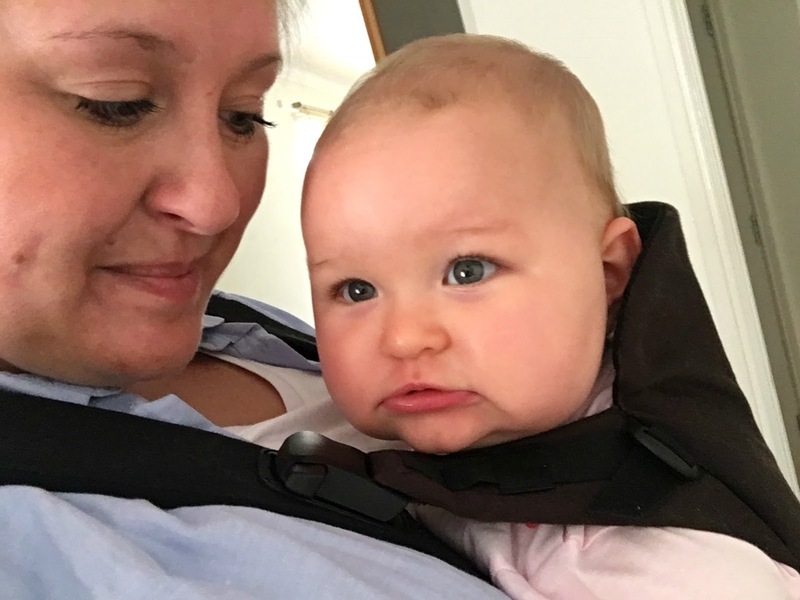 There were, of course, a load of other factors which made us feel like it was the right time to move on and it’s a good job we did seeing as baby number two was soon to make herself known. 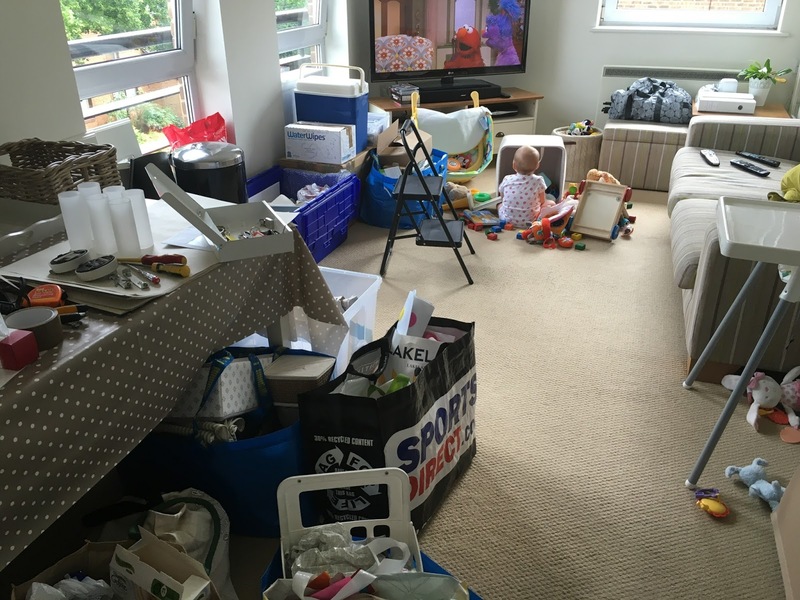 Packing up our home with a nine-month-old baby was a hoot! As the new house needed so much work doing to it, we luckily were able to move in with my parents whilst we renovated the house, which has been, as you can imagine, stressful on both parties. The past year has been trying for us all and I think we are all very ready to have our own space again. Similar to having your first baby, I honestly had no idea of the scale of the project we were taking on. Six months I thought. Six bloody months. How deluded was I? Fast forward (and I use that term ever so lightly…) one year, three weeks, five days and approximately nine and a half hours later and we’re still not in our new home. How’s the house coming on? When do you think you’ll move in? Oh around seven months ago. Have you got a time scale in mind? It’s funny because even though this is my house and it will someday be my home, the fact that’s it’s taken us so long to complete the renovations and that I have only visited it sporadically over the past year, I don’t feel as if I have any connection to it. Of course, I’ve had my say and input with regards to the renovations, but I honestly had no idea how expensive, messy, huge, complicated, time-consuming and life sucking this whole project would be. I’ve not exactly been the best renovation partner either. In fact, up until a few weeks ago me “and my stinking attitude” wasn’t welcome at the house. I hadn’t seen it for almost six months. Yep. Not even a photograph had glanced my way until the house was made to look like something that didn’t resemble a building site. But it is happening. It’s taking shape and we’re finally seeing the light at the end of a very expensive long tunnel. We’ve taken on the renovation project ourselves, led by Jack and my Dad and with the help of lots of family and friends in the building trade. The blood, sweat, and tears that have gone into this project is unbelievable when I look back at photographs of each different stage. My hubster has again put his life on hold for us whilst he builds us a home, along with my Dad and for that, I will always be so grateful. So I’ve decided to share our home renovations on the blog for a number of reasons. 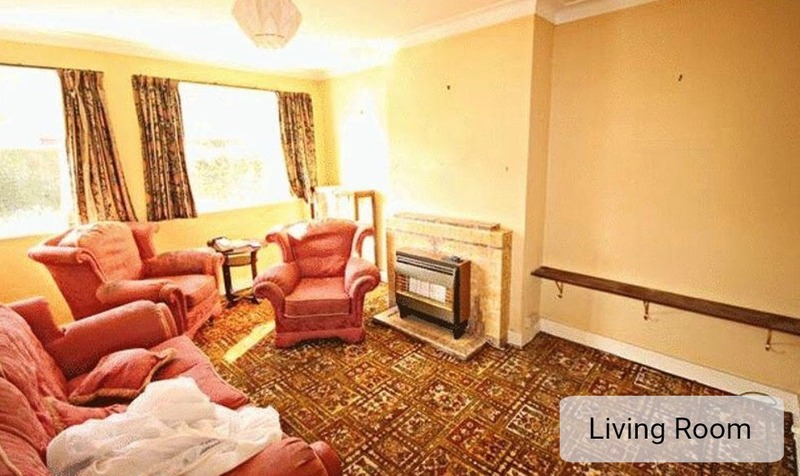 Firstly all of our friends and family are keen to know what the house originally looked like and how we’re getting on. I usually give them the “stinking attitude” story and so secondly, in the name of being positive, I wanted to celebrate how far we’ve come and how close we are to finally moving into our family home. The house needed everything doing to it, from new electrics to central heating, so we thought seeing as we wouldn’t be living in it from the start, why not get everything done at once. It will only take six months after all. Six months. Ha. We spent a good month or so thinking about our ideas before finally taking the plunge and putting in for planning permission for a kitchen extension on the lower ground of the back of the house. 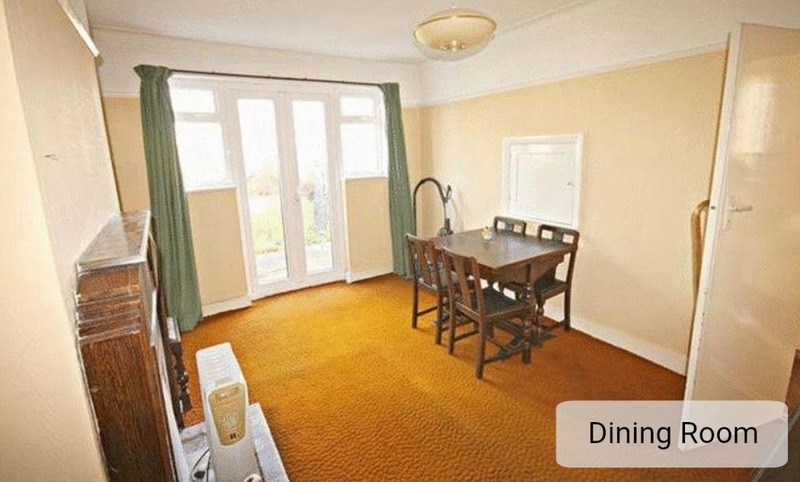 As well as this we would knock down the wall between the living room and dining room to make an open plan space. 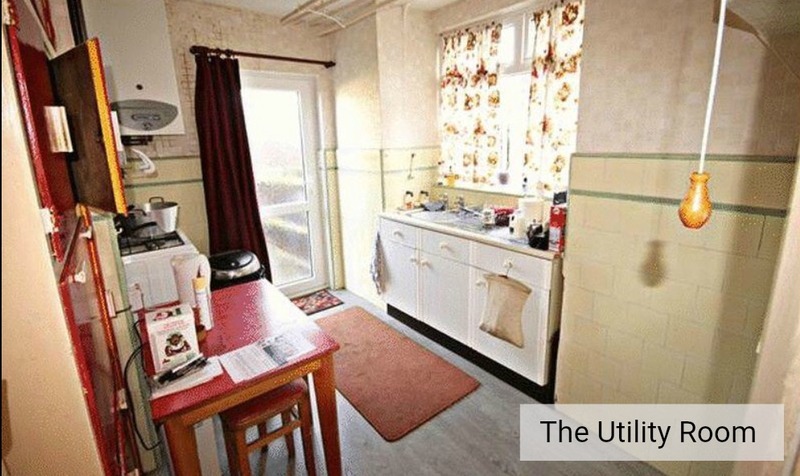 The current kitchen would, therefore, become a utility room and downstairs toilet. The previous owner had installed a toilet downstairs in the hallway, but it took up too much space and a lot of the natural light so we decided to remove this and add a toilet using some of the old kitchen space, now the utility room. Upstairs would pretty much stay the same, except for decoration, windows and we knocked down the separate toilet to make one larger family sized bathroom. Needless to say, we had our work cut out for us in making this house a home for our little family. Six months we thought, six months. Ha. We’re literally trying to do what most people take a life time to do on their home and we’ve almost crammed it into just over a year. But we’re almost there. 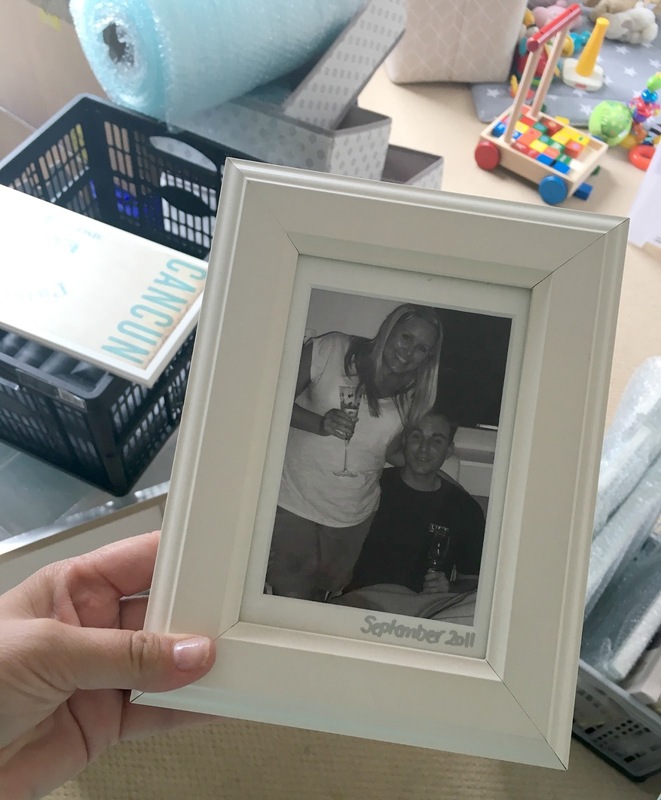 There’s even been talk of a moving in date…eek! This is just part one of our house renovation project posts, say tuned for the second part coming soon where I’ll be sharing the early stages of the renovation project including building the extension. Previous Post Will I Ever Be Sociable Again…?